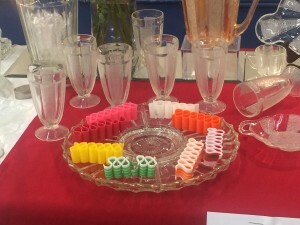 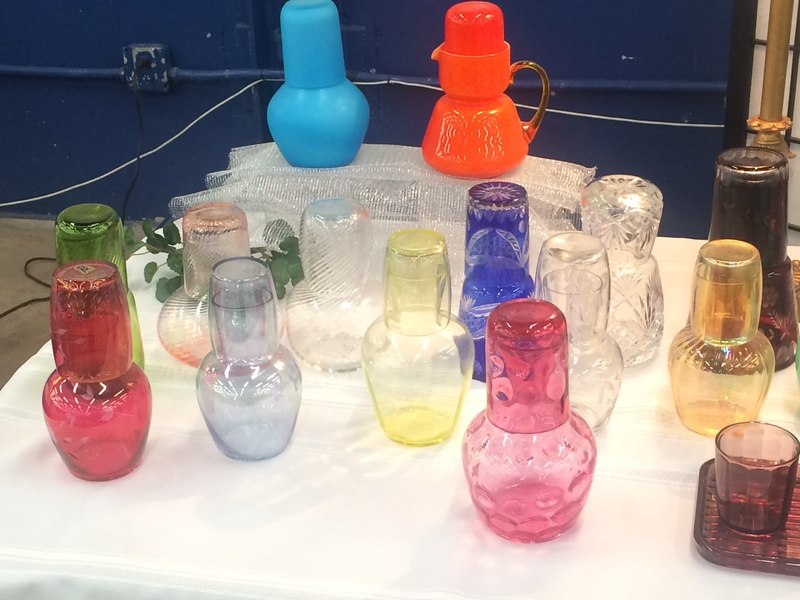 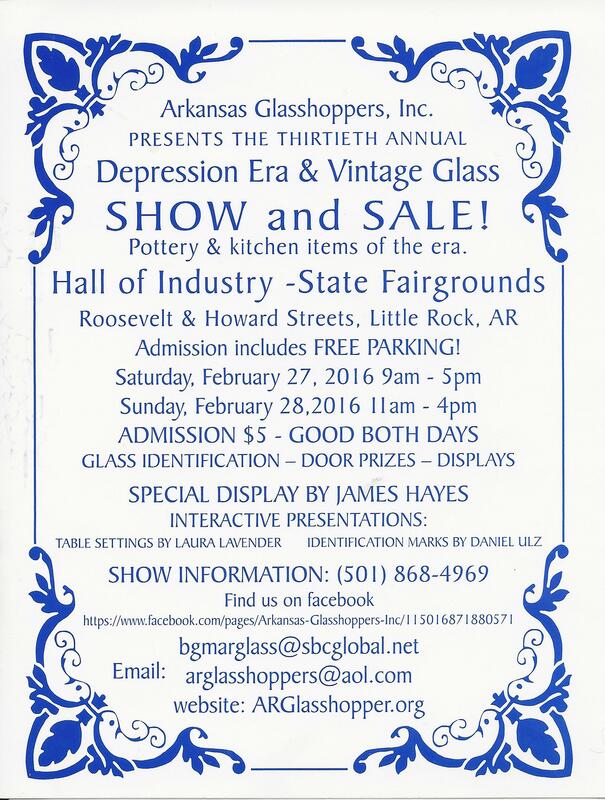 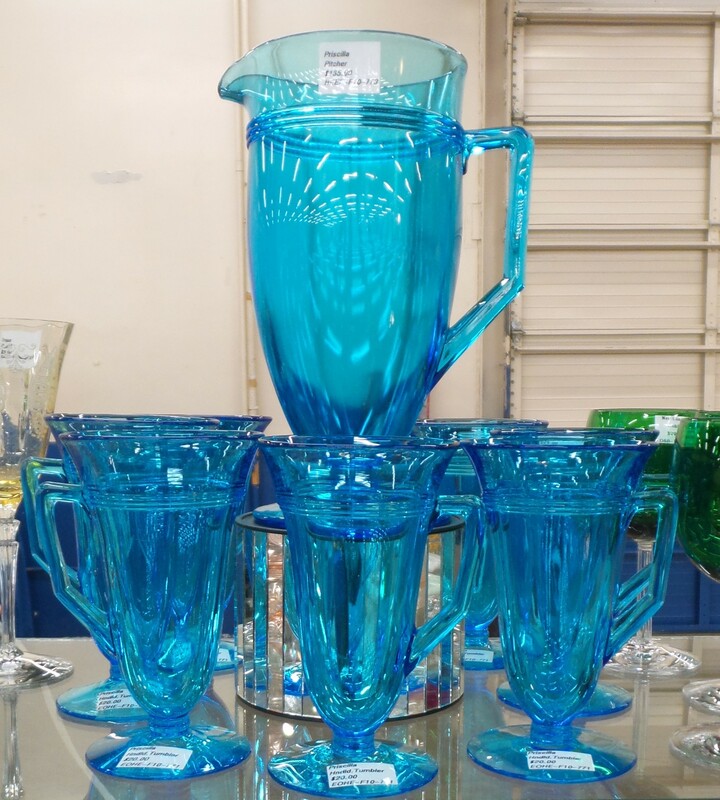 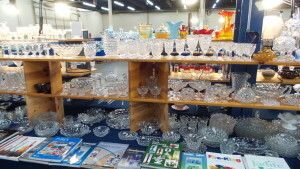 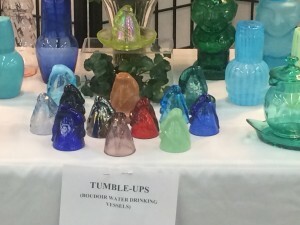 30th Annual Glass Show & Sale – Arkansas Glasshoppers, Inc., Welcomes You! For more information or to get on our mailing list for the show (we will even send you a “snail mail” invitation if you include your address), please email us at ARGlasshoppers@aol.com or ARGlasshoppers@gmail.com or on our Facebook page. 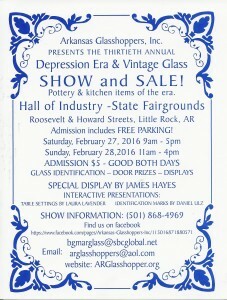 The Show Chair, Bud Martin, can be reached at (501) 868-4969 or bgmarglass@sbcglobal.net. 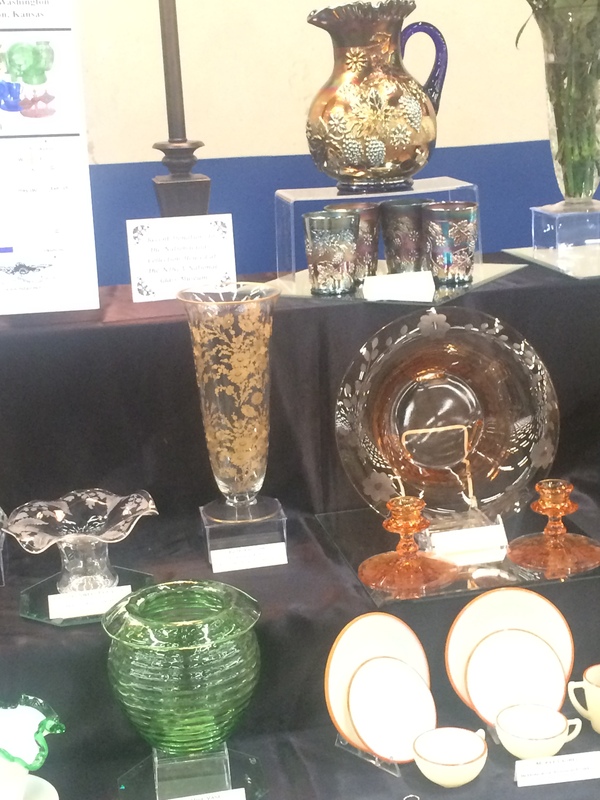 We will continue to update this page with more details as they become available. 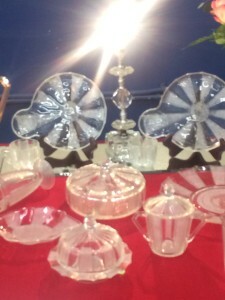 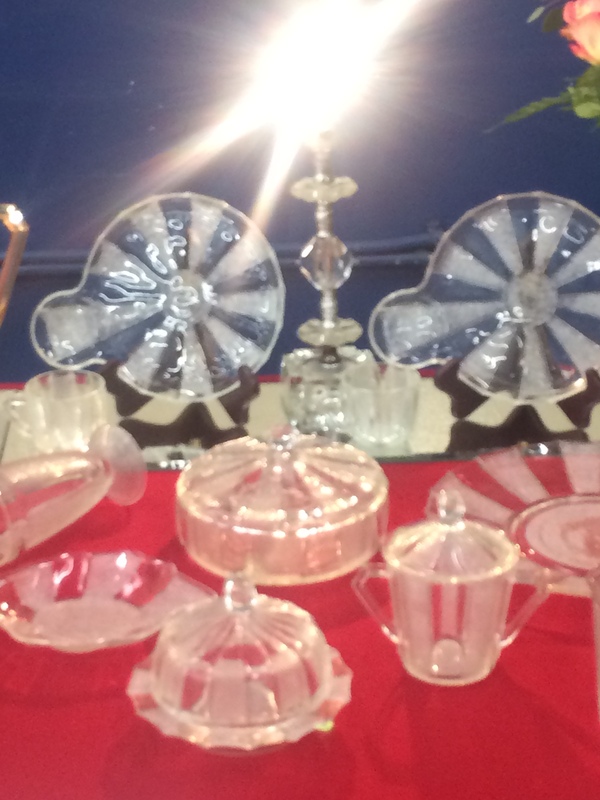 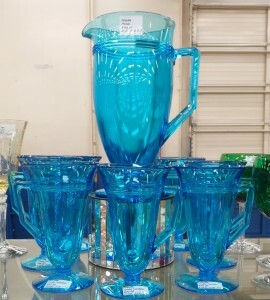 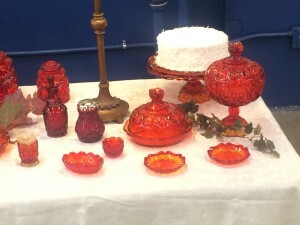 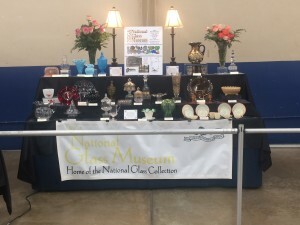 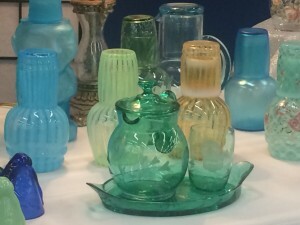 No Horse Antiques’ unique display used New Martinsville Glass Company risers first produced in the 1880’s. 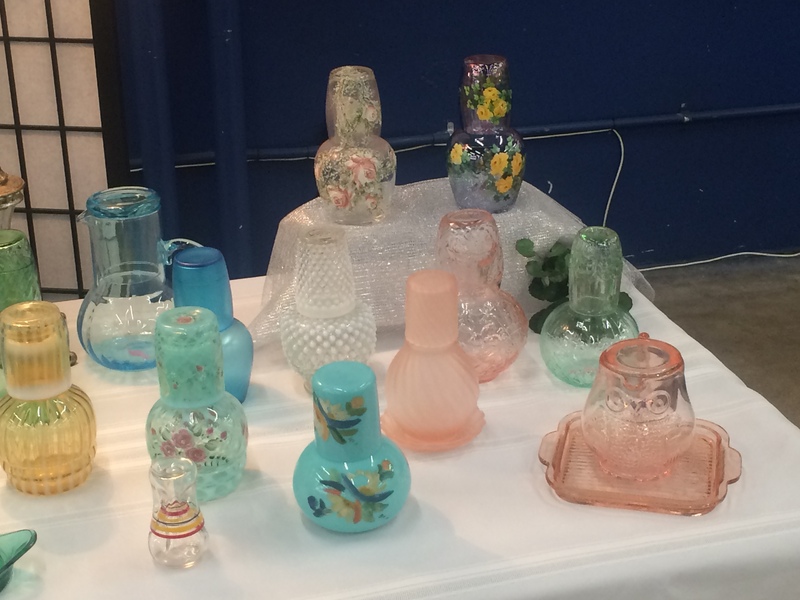 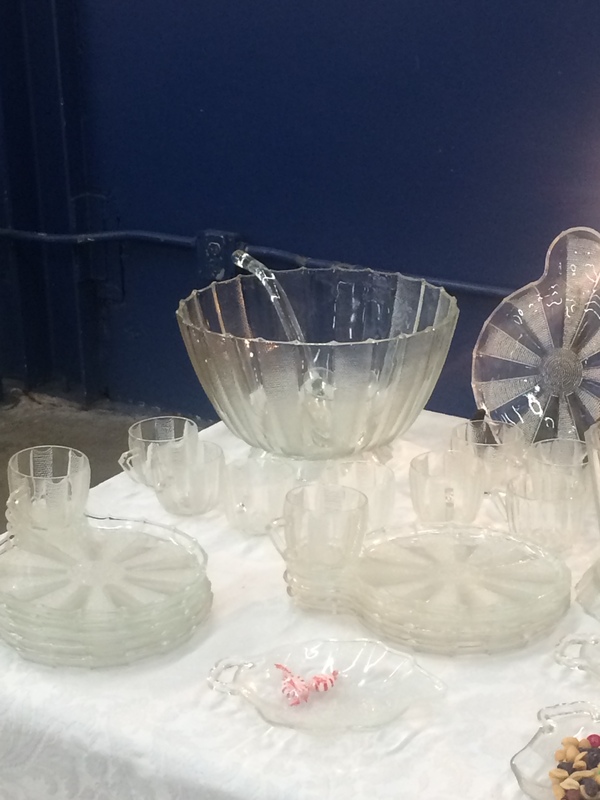 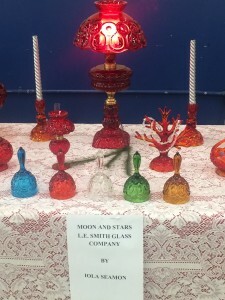 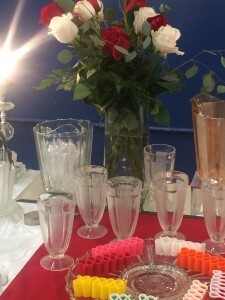 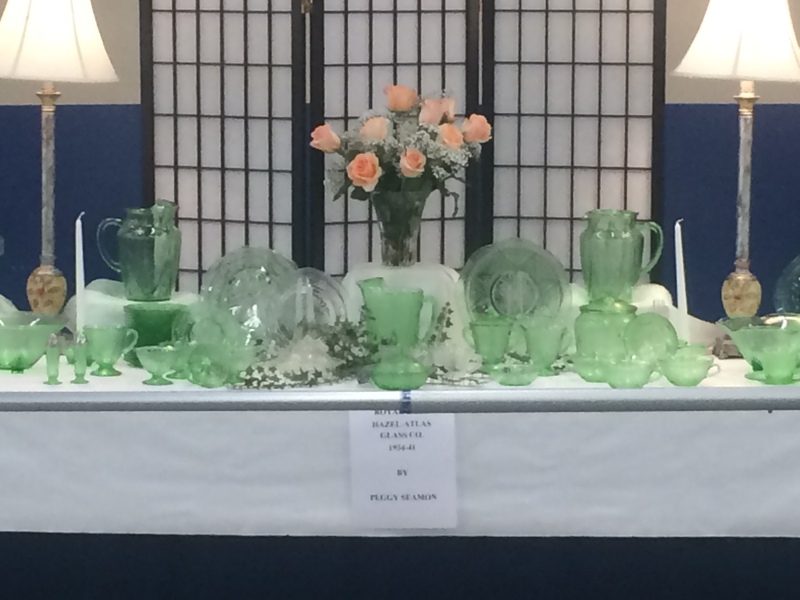 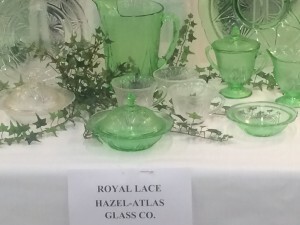 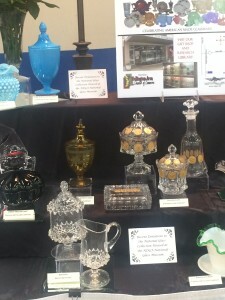 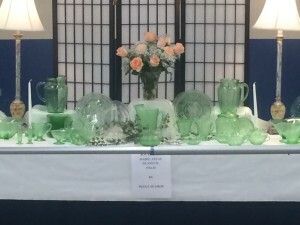 This dealer literally displays her antique glass on a structure that uses antique glass! Another picture of No Horse Antiques’ unique display. 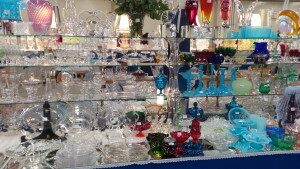 See the video on the Dealer Page for more details. 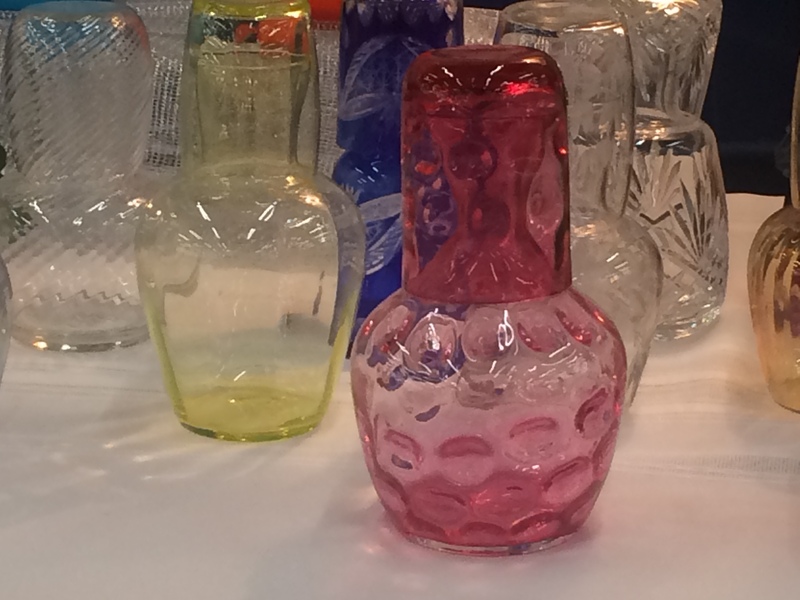 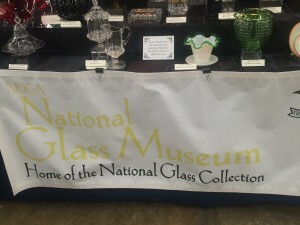 The National Glass Museum’s Display.